And for a bit of scale, doesn't quite make it to his knees. Not bad for a bit of mucking about hey ? Just need to work on the armor plates and miscellaneous weaponry, clean up any putty over-fill, clean prime, and start painting ... Oh yeah .. painting .. More to come on this one. ﻿ Revisiting the leg construction for the Spacewolf Dreadnought, I ended up grabbing a few Sentinel leg bits from Ebay (Black Dagger Games). After a few hours of positioning and fooling about, I settled on this configuration. 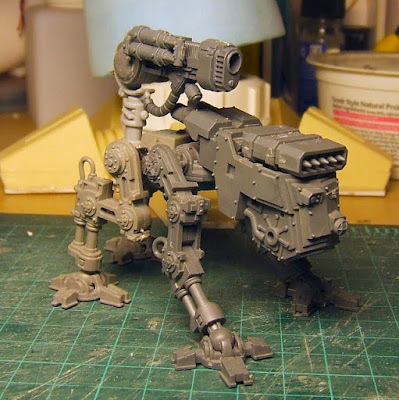 Dreadknight upper leg, Defiler for the mid-leg, and multiple Sentinel lower leg struts. The foot is a plasticard and the original Dreadknight foot. Utilizing the upper portion of the ﻿Dreadknight legs allowed me to attach the legs to the existing hip portion of the Converted Dreadknight. Assembling the lower leg to the upper leg and hip joint turned out like this. So I got a moment to go back and look at my Space Wolves Dreadnought conversion, more importantly I started to finalize how I wanted the legs to be configured. I saw a post from an Italian site on Pinterest which featured a kit bash of the Sentinel and fell in love with the legs. More so, I felt the short upper portions, extending to a longer lower leg strut was the right combination for the Dread conversion. 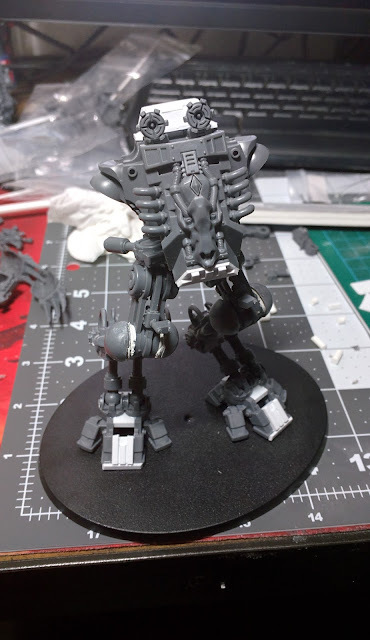 I started shifting through different configurations of legs, based on what was left of the Dreadknight legs, you will even see a section of a leg from a Defiler. With a shuffle or two, I came up with a few other configurations. But I ended up settling for this configuration, based on the parts I had laying about, as the piston actually looked like to was doing something. 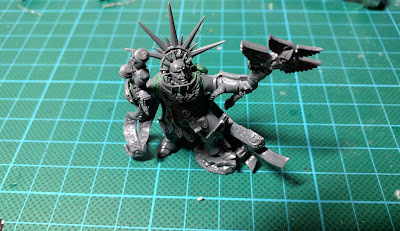 The ankle joint is a bit of an issue for me though, as it won't fit into the Dreadknight foot. 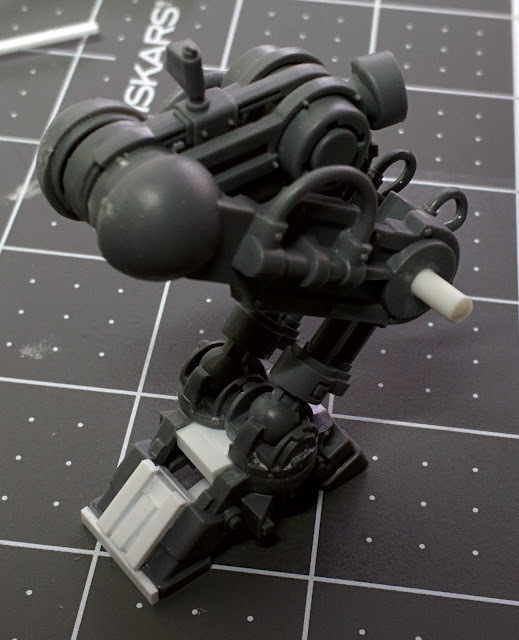 I might try to grab some Sentinel legs from eBay and see how they would fit into this configuration. Can I just say, "BEST SANGUINUS EVER!!" 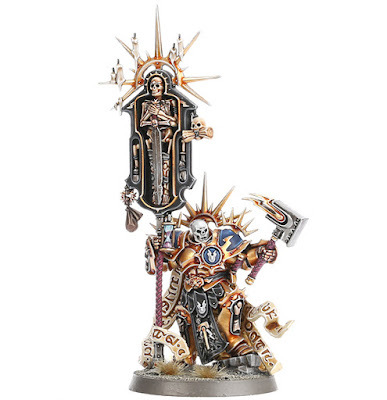 Not the biggest fan of Age of Sigmar, basically more of a 40k aesthetic guy, but I would have no issues clipping the hammer and converting it to a sword or ﻿spear. 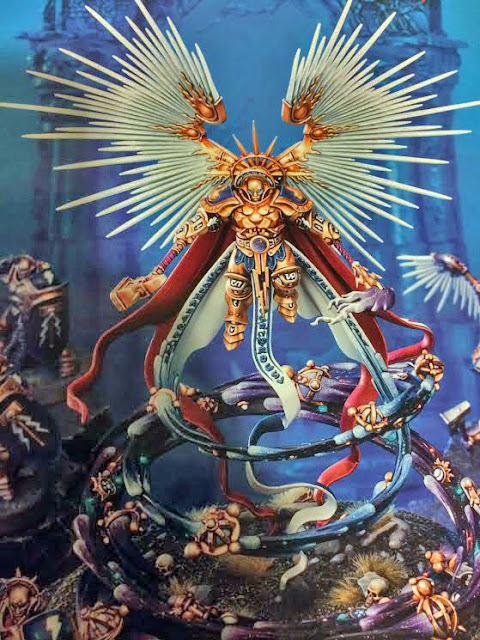 Throwing on a Sanguinary Guard bare head, repurpose some hi-tech miniatures wings, or pull some bits from eBay from a winged Pegasus or War eagle, etc. Green stuff a more Blood Angel-esque chest piece, and I think we'll have a winner. 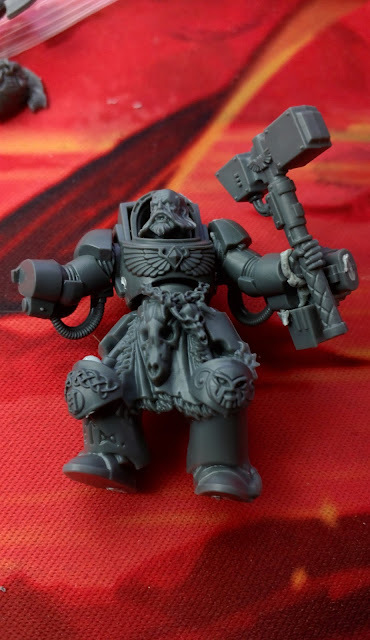 I will even re-use that hammer head for an Arjac Rockfist conversion too, as I have been looking for a hammer with that design for a few weeks. More to come on that, as I am already assembling the pieces as I write this. 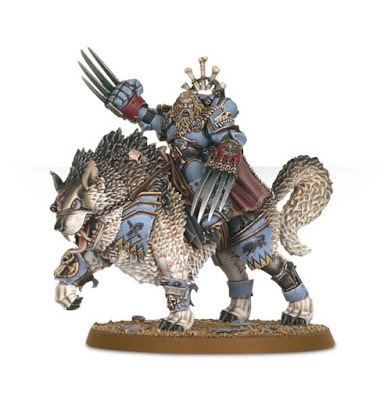 I took a break from the Wolves about the same time Age of Sigmar was released. Looking at the models, I had to agree with the general sentiment that this was the "best Blood Angels release in years!". Taking this into account, I started a conversion of an Age of Sgmar Relictor. Got spikes ? Check. Got Litany Scrolls ? Check Got Skull helmet ? Check Got skulls and bones everywhere ? Check And the mini even has a semi-dynamic pose. Sweet! Overall a good base to work from. Grabbing some trusty Green Stuff, a Sanguinary Guard Chest piece clippers, knife and after some cutting and shaving, voila! The leading/outstretched arm looks to be a great pose for a bolter or Crozius Arcanum. 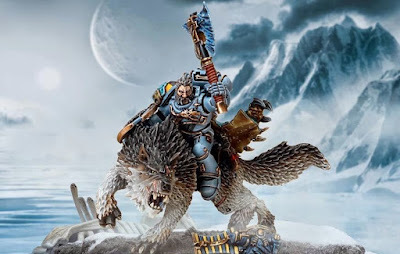 So there was a large gap in time here, where I focused on a few different projects, Scratch-built / kit-bashed Space Wolves Dreadnought, Canis and Harald proxies. I will cover more on these soon. But below is how the Iron Priests turned out. They are about 80%, I need to add some snow effects and final highlights. You'll notice the overwhelming size of the first servo arm, as mentioned earlier. I didn't think it would turn out so overpowering, as it looks quite innocuous from the side and/or rear. But from in front, I cannot see the marine! I have been stuck thinking about how to fix it up, for a few weeks. Should I build another and replace it, or re-position the wolf or just not bother? I am much happier with how the second Iron Priest's Servo arm turned out. Just the right amount of Heroic presence.